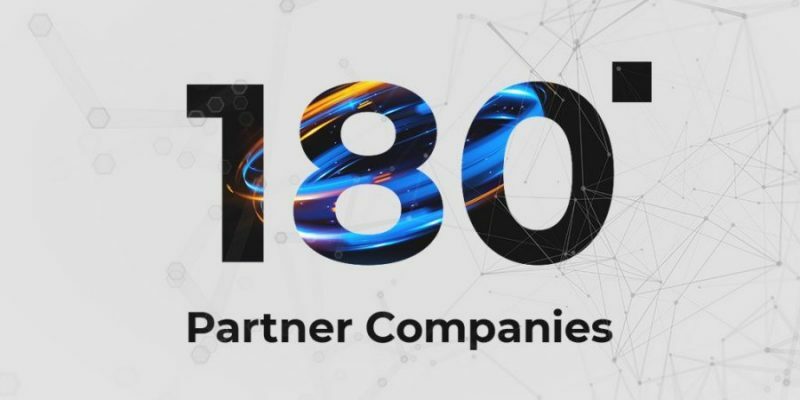 The list of Credits’ partners aiming to develop their dApps based on our blockchain exceeds 180 companies. Global adoption of blockchain is becoming a reality, and Credits contributes to it by tackling the major challenges of the industry. Credits blockchain platform has a high capacity that leads up to a significant scalability. The network can handle a volume of over 1 million transactions per second, which was proven by the recent load test. Credits key components such as unique consensus protocol, elliptic curve signature and homomorphic encryption ensure high level of network security. The extended functionality of Credits smart contracts implemented in the form of API with the SDK kit enables the platform users from finance, IoT, health care, tourism, gaming industries to implement their in-house fully autonomous and self-executable service apps. Credits has recently linked up with Lenovo New Vision to jointly push forward the development of the Internet of Things. In addition, Lenovo New Vision technology looks to incorporate Credits blockchain solution to streamline internal operations and management procedures. Credits have been chosen by Lenovo New Vision Technology thanks to its distinctive technical solutions such as unique consensus algorithm which incorporates the features of both dPoS (Delegated-Proof-of-Stake) and BFT (Byzantine Fault Tolerance) features, flexible customisable smart contracts and effective security based on elliptic curve encryption. This is a big step towards technology mass adoption, as well as other significant partnerships with Sparkster, Leewayhertz and Cloud28+, aiming to contribute the development of cloud services, AI and IoT industries. Low fees, high volume and speed featured in Credits blockchain platform can also improve the experiences of both businesses and customers when they shop online. Credits will help Nuggets and Araw develop market leading e-commerce. These features can also help simplify lending process to eliminate middlemen and exclude additional costs with Credits and WhatsLoan working towards this direction. In addition, Credits enhance logistics by integrating Credits blockchain solutions into Dylyver, RedCab, Smart Refining Technologies and RusseQuelle. Credits is strengthening its positions as blockchain, cryptocurrency and ICO launch expert, by becoming a technical partner for mmviii’s crypto advisory business division and provides technical audit for mmviii clients to help determine technological feasibility of the client’s vision. The partnership with mmviii was also designed with the intention of creating a University Blockchain Alliance which will connect top universities from around the world with the common goal of popularizing blockchain technology amongst the students by conducting seminars, workshops and hackathons. To further move educational initiatives forward Credits and Shenzhen ZYT Fintech Co., Ltd., the Center for Blockchain Fintech and Internet Security, the Institute of Financial Technology and Blockchain of Renmin University of China, and the Big Data Blockchain and Supervision Technology Lab of Renmin University of China, plan to set a number of lectures and hackathons to expand blockchain and cryptocurrency awareness worldwide. Renmin University of China is placed 5th in the recent 2018 China University Ranking. Credits is a public blockchain platform with an open source code, capable of performing over 1 million transactions per second. It offers the processing speed of 0.01 of a second while the commission rate is as low as ≈ $0.001. The extended functionality of Credits smart contracts makes it possible to set cycles and create schedules. This instrument implemented in the form of API with the SDK kit will enable the platform users from finance, IoT, health care, tourism, gaming industries to implement their in-house fully autonomous and self-executable service apps.